WAYNE J. FONTANA is a native New Orleanian and graduate of Loyola School of Law. He served as law clerk to the Civil District Court for the Parish of Orleans, and he is presently managing partner of the New Orleans office of Roedel Parsons Koch Blache Balhoff & McCollister. He is a member of the New Orleans and Louisiana Bar Associations and the American Society of Law and Medicine. He has served as a seminar speaker for the Louisiana Association of Defense Counsel, DRI, the Defense Research Institute, the Louisiana Association of Business and Industry, The Louisiana Association of Self Insured Employers, the National Council of Self Insurers, the American Tort Reform Association, numerous national seminar companies and several professional business groups and trade associations. His law firm is a full service law firm, and Mr. Fontana's practice is primarily in the areas of workers’ compensation, general liability, personal injury defense, product liability and governmental affairs. Mr. Fontana has served as a legal advisor to the State Office of Workers Compensation Administration and, through multiple gubernatorial appointments, has sat on that office's Advisory Board. He was also a member of and has led several Task Forces on Workers Compensation under Governors Treen, Roemer, Foster and Jindal. He has participated in the drafting of all major business initiated workers compensation reforms in Louisiana since 1983. Mr. Fontana is general counsel for LASIE, the Louisiana Association of Self Insured Employers, and he serves on that organization’s Legislative Committee, Conference Committee, Self Insured Fund Committee and Advisory Council. He teaches LASIE’s Claims Module of its nationally recognized Workers Compensation Professional Certification Program (CWCP) and has served as an instructor in its Certified Medicare Secondary Payor Professional Program. Mr. Fontana has testified before various courts as an expert in the field of workers compensation, and Louisianians for Workers Compensation Reform (LWCR) and other reform groups and business organizations have utilized Mr. Fontana as a bill drafter and legal expert to testify on their behalf before the Louisiana Legislature. He has been recognized by various courts as an expert in the field of Louisiana workers’ compensation law and, at times, is asked to mediate complex workers’ compensation disputes. He was recognized in City Business in its 2016 Leadership in Law Class, and he has maintained the highest Martindale-Hubbell rating, AV Preeminent, for many years. Mr. Fontana has been very active in his local Chamber of Commerce. For the New Orleans Regional Chamber of Commerce, he has served as Vice Chairman and as a member and/or chair of its Executive Cabinet, its Board of Directors, its Public Policy Committee, its Council of Governments, its Inter-Modal Transportation Committee, the New Orleans Council Executive Committee, the Board of NOAPAC, its political action committee, and as Chairman of its Governmental Affairs Committee. When serving as Vice Chairman of the Chamber, he received the annual Chairman’s Award for exemplary volunteer performance. He is a 2000 graduate of the inaugural class of the New Orleans Regional Leadership Institute, serves on the Institute’s Board of Directors and served as chair of its Metro Workshop Committee, which staged annual visits of New Orleans area business and political leaders to other cities and surrounding economic regions. Mr. Fontana also served on the Chamber's delegation representing Greater New Orleans which, in competition with 105 other American communities, finished first in the National Civic League’s 1996 All-American City Competition. He initiated, organized and led the Chamber's Washington Fly-Ins, bringing together New Orleans regional business leaders with the White House, members of Congress and the United States Chamber. He organized and moderated the Chamber's Congressional Forums which allowed Louisiana's senators and representatives to discuss federal issues with local business people. He is a graduate of the Metropolitan Area Committee’s leadership forum. Mr. Fontana has a keen interest in education, workforce development and economic development, and he currently serves on the Foundation Board of Directors for Delgado Community College. Another of his interests is athletics and sporting events and their positive social and economic impacts on the community and area youth. He has sat on the Board of Directors of the Greater New Orleans Sports Foundation which oversees youth sports programs and which attracts and manages major sporting events such as the Super Bowl, the Sugar Bowl, the Final Four and the NBA All Star game. Mr. Fontana also works closely with the Louisiana Legislature and the state Chamber of Commerce, LABI, the Louisiana Association of Business and Industry. 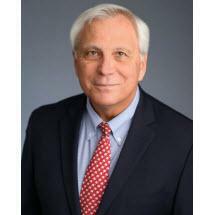 He is a member of LABI's Board of Directors and has served on its Executive Committee. He is a former chairman of LABI's Labor-Management Council and is an editor of the LABI Workers Compensation Desk Book. He sits on the New Orleans Committee of SOUTHPAC, the political action arm of LABI. He has served as chairman of LABI's Employee Relations Council, its Workers Compensation Task Force and its Liability Task Force. He recently chaired LABI’s Civil Justice Reform Council. Mr. Fontana has been active for several years in the effort to pass meaningful tort, workers compensation and other liability reforms. On behalf of the Louisiana Liability Task Force and the state of Louisiana, he accepted the American Tort Reform Association's Achievement Award in Washington, D.C. In the initial days of his administration, Governor Mike Foster appointed Mr. Fontana to serve on his Ad Hoc Advisory Committee on Lawsuit Abuse. That committee recommended reform in specific areas of tort law, ultimately leading to passage of the Governor's legislative package which abolished strict liability, joint and several liability and punitive damages. The Retailers Slip and Fall reform legislation was also passed during that special legislative session. Mr. Fontana drafted and lobbied all pieces of that reform package and testified before the legislature on behalf of the Governor and the business community. Again through gubernatorial appointment, he sat on the Louisiana Economic Development Council. He was a founder of and member of the steering committee and Board of Directors of CALA, Citizens Against Lawsuit Abuse, a grass roots organization responsible for educating businesses and the public on civil liability issues. For more than three decades, he has testified before a number of legislative committees in the areas of tort reform and workers compensation, and on these issues, he serves as one of the chief spokespersons for the business community, appearing frequently on television and radio, in the print media and as a seminar speaker.